George Will's column calling on the US to withdraw forces from Afghanistan and rely on smart strikes using drones, cruise missiles and special forces insertions, reopens a now old debate about the tactics we should be using in the War on Terror. Will's approach would revert the US back to before the days of the Bush Administration when smart strikes were used for a series of attacks that accomplished absolutely nothing. It might be possible to use "offshore" bombing to end the Taliban, but it would not involve smart and limited attacks, but dumb and massive ones that would kill a sizable portion of Afghanistan's non-urban tribal population. That is something not even the Soviet Union was fully prepared to commit to. It is not likely that any US administration would. While drone strikes can be quite useful within the context of a larger military operation, without that context they're nothing more than a game of "Whack a Mole", while the mole works to execute a large terrorist operation against you. You might take out a few terrorists, if you're lucky and manage to get good intel out of enemy territory, but sooner or later the terrorists will execute a 9/11 or a 7/7 on your own soil. The terrorists lose 3 or 4 people, you lose hundreds or thousands of people. 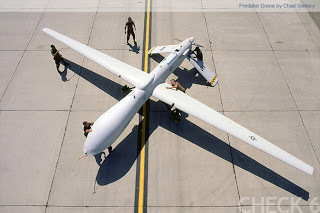 Drones and precision strikes have not fundamentally altered the nature of war. They allow the US to extend its reach, but that godlike illusion cannot actually accomplish anything useful without being able to know the location of your targets. And having eyes in the sky is nowhere near as good as having boots on the ground. Having flying sniper rifles in the sky will not end or even seriously damage the terrorist threat. The Clinton Administration, which was roughly three times as energized about fighting terrorism as the current administration is, demonstrated that. Smart strikes are a military variation on smart power. What they have in common is the smug illusion that people sitting in D.C. office buildings can control events thousands of miles away without putting anyone or anything at risk. And neither of them substitute for the blunt ugly reality of an occupation force on the ground. The key advantage of occupation is that it actually puts troops into a position to counter the enemy and bar him from the country's centers of power. The current US tactics may make it unlikely that we will destroy the Taliban, but in turn it makes it impossible for the Taliban and their allies to seize power or operate freely in strategic parts of Afghanistan. By invading Afghanistan and Iraq, the US successfully put its enemies on the defensive, consuming resources that they would have otherwise used for offensive operations. That is the fundamental difference between the US occupation and the Soviet one. The Soviets were motivated by expansionism, the US seeks to keep its enemies on the defensive and at bay. But that is a modest goal and one we have paid a dear price for. Will isn't entirely wrong about the trajectory of the war. He simply has no useful solution to the problem. The US strategy has replicated too much of the Soviet strategy in Afghanistan, but has avoided alienating Afghan tribes and warlords to the extent that the USSR did, and the Taliban are not receiving the kind of counterinsurgency aid that the Mujaheddin received from the US and various other countries. But Obama's Afghan surge parallels Gorbachev's surge as a desperate attempt to quickly wrap up the problem and leave. Unlike Iraq though, we have failed to build up a credible Afghan military, and Afghanistan's democracy is simply another alliance of warlords, loosely allied with us. The Taliban can take a beating and outwait us. And it is unlikely that Americans will be prepared to patrol Afghanistan for a generation, which is the least it would take to turn the page on the Taliban for good. And yet any US withdrawal that leaves behind the Taliban will allow them to claim victory over the US. What is the answer then? Every problem has a solution, some solutions are simply too difficult or expensive to implement. Many fall short of offering a comprehensive solution that resolves the problem, because the problem has never been stated. The US nation building project in Afghanistan is one solution, but it is a very limited solution at best. And like most limited solutions it is the product of misunderstanding the nature of the problem. And the problem is one whose name we dare not speak. Islam. The Taliban were not the product of Afghanistan. They were the product of Pakistani Islamic Madrassas. Those Madrassas, schools of Islamic study, were themselves the product of the Partition of India into Hindu and Muslim states, and the rule of General Zia ul Haq who used the Madrassas to generate an army of guerrillas and terrorists to fight in Afghanistan... with the backing of the Carter and Reagan administrations. The Soviet invasion destabilized Afghanistan, and US backed guerrillas helped push out the Soviets, creating an opening for an Islamic militia like the Taliban to seize power. But virtually every Muslim country or country with a sizable Muslim population has a group like the Taliban waiting in the wings, to bring "true Islamic reforms" to the corrupt political culture. It is why Al Queda has a global foothold. More importantly, it is why Europe, America, Israel and so many other lands suffer from terrorism in the first place. Islam is a militant religion. Its devotees will always rediscover the idea that all problems would be solved if only every Muslim and non-Muslim country were ruled under Islamic law, and will repeatedly take up arms to make it so. It is possible to kill every single member of the Taliban, only to have another bunch of Madrassa grads and regional bandits form a new Taliban militia under some semi-charismatic Mullah. To understand why, imagine if there were 1 billion people in the world who viewed the ideals of Nazism as a religion, brought up their children to Heil the Fuhrer, sent them to schools that taught the values of National Socialism and funded Nazi organizations. Most of these people would not be prepared to actually go out and kill people in order to create a new Reich, but most of them would be willing to passively or financially support those who do. The result would be constant Nazi terror and attempted uprisings anywhere that the sitting government was weak, those uprisings would quickly mutate into attacks beyond the borders of those countries where they seized power, these uprisings could be temporarily put down, only to pop up again. That is because destroying them would require fighting a whole different kind of war. That is exactly the situation we face with Islam. Understanding that means understanding the War on Terror. Misunderstanding that means treating Islamic terrorism as a regional cultural and political problem that needs to be resolved in one single place. And that is why ultimately Afghanistan is itself nothing more than a large scale version of "Whack a Mole". 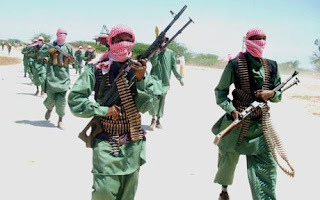 We have interdicted many of the Islamic terrorist factions responsible for attacking us in the first place, but those same factions are taking root domestically because of our own growing Muslim populations. With enough Madrassas in America and Europe, Pakistan and Afghanistan will simply become relay points in a war fought on our own home soil. And if you doubt that it can happen, take a closer look at France or Israel. Because it can and given time, it will. The enemy is not simply the Taliban, it is the ideology of Islam itself. Our attempts to fight against it have been band aid approaches that rely on propping up more secular regimes and trying to stabilize destabilized regions such as Afghanistan to avoid Islamic takeovers, all the while promoting some pipe dream of a moderate Islam in our own home countries. This is the same kind of Smart Power that got us into this mess in the first place. But how do you fight an ideology? When the USSR made a deal with Nazi Germany, they claimed that "Isms" could not be fought. And indeed Isms are not easy to fight. Nazi Germany could be defeated, but Nazism has survived. The Soviet Union fell, but Communism has not gone away. But unlike Islam, they have not become a major terrorist threat. There are a number of reasons for this. First, the fall of Nazi Germany and the USSR destroyed the ideal embodiments of Nazism and Communism. Neither ideology has ever really recovered from that, and the number of their adherents dropped sharply and have mostly channeled their energies into empty grandstanding or into working from inside the political system to seize power. Islam has not suffered a similar defeat for nearly a century. For the Shiites, the fall of Iran might serve a similar function. For the Sunnis, no standing country embodies those virtues. The Taliban came closest, and for as long as the Taliban continue to fight, the idea of an ongoing struggle persists. Like Communism and Nazism, Islamism's adherents have also moved into working from within the system, but only as a twin to an armed strategy. Secondly, Islam is to non-Muslim religions what Nazism and Communism was to Jews. The Jews had no place within an ideal Nazi or Communist state, the Nazi Final Solution depended on physical eradication, the Communist Final Solution on cultural eradication. Similarly non-Muslim religions have no place within an ideal Islamist state. This means that in majority non-Muslim countries, Muslims cannot plot political takeovers as Nazis and Communists can. They can work within the system, but only for so long since the endgame is to force everyone to live under Muslim law. And this cannot be done without a great deal of violence. Terrorism is a cheap way for a Muslim minority to try and enforce its will on a Muslim majority. It also allows for a game of "Bad Muslim - Good Muslim", in which the Bad Muslims set off bombs on buses, while the Good Muslims work with the government to "defuse extremism" by teaching the authorities to slowly accommodate Muslim demands. Thirdly, while Communism and Nazism were urban industrial ideologies developed by Western intellectuals with the intention of creating industrialized superstates, Islam is pre-industrial and tribal. While the final Islamic goal may be a global Caliphate, the military tactics favor updated versions of nomadic raids, the key form of warfare by the Taliban, and internal infiltration in urban areas. When Nazism and Communism's superstates collapsed, the implementation of their ideology collapsed as well. Islam however is tribal and Islamism can be implemented in a handful of villages, as the Taliban demonstrated. Fourthly, Islam is religious, and political religion exists at a much deeper cultural level than any secular political ideology can. Where political ideologies need a political structure to control or plot control of, Islam can remain dormant with only Mosques and Korans to perpetuate itself, like insects hibernating in winter, before emerging in spring bent on conquest again. Religion is taught universally and functions as the fabric of a community, beyond question, and participation in which is the price of communal membership. Now let's look at what all these mean. The first, third and fourth conditions mean that Islam is far more decentralized, which in turn makes it much harder to suppress or destroy. The fourth condition means that as a religion it is deeply embedded, it is part of the structure of cultures and communities. The second condition means that Islam in non-Muslim countries must inevitably turn to violence as both a military and political tactic. What does all that tell us about winning the War on Terror? It means that Islam has to be fought not just on a military level, but on a political and cultural level. Deislamization has to be the guiding approach abroad, and especially at home. Islam's cultural roots mean that it has to be resisted and uprooted at a cultural level. Bombing terrorist bases while leaving intact the Madrassas which educate and create a new generation of terrorists is a senseless waste of time that will accomplish nothing. Promoting Deislamization abroad, while throwing the Mosque gates open at home, only ushers in a new wave of terror at home. For the War on Terror to count for anything, it must be a War on Islam, because Islam is the guiding ideology behind terrorism. Rooting out terrorism without rooting out Islam, only painfully prolongs the struggle. A number of European countries have concluded exactly that, and decided that surrendering to Islam will spare them effort and pain. That is not a choice I can support, but it is at least a choice made based on an understanding of the problem. By contrast pretending that we can fight a War on Terror without fighting a War on Islam is simply wishful thinking. Fighting a War on Islam means making a careful study of the structures and ways in which Islam is sustained and promoted, particularly on higher education for Muslim religious scholars and on the ways in which the dilettante sons of wealthy Muslim families become entangled in such projects. The Muslim religious school trains the terrorists of tomorrow and imbues them with dreams of creating a new Islamic reality. The boys and men who study in them and then go on to higher learning as Imams and Mullahs, form the core of Islamic terrorist ideology. The Mosque serves as the base for any Muslim community, particularly abroad where the Muslim preacher can incite violence. 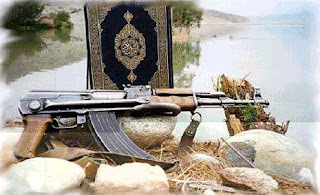 The Koran serves as the manual for terrorism in the name of an ideal Islamic world order. In order of importance, these are the real commanders and bases of the enemy. To the extent that they are pushed back, weakened, uprooted or destroyed-- we will have peace. To the extent that they prosper and spread, we will have nothing but war. The Future of the War on Terror is a War on Islam, because Islam has declared war on us. The debates over tactics in Afghanistan ignore the large reality that the Taliban are not an isolated phenomenon, they are what expanding Islam will always produce. While we chop away at the branches, the seeds of terror grow in our own soil waiting to sprout. The War against Islam will have to be fought more on a cultural and political level, than on a military level, because that is where the roots dig deep into the rotten soil. That will require a whole other kind of global alliance, an alliance of cultures and religions threatened by Islam, around the world. It will require cooperation between Christians, Jews, Buddhists, Hindus and many others as well. It will involve distributing the truth about Islam, countering Islam's political gains with strong anti-Muslim activist coalitions and shutting Islamic organizations out of the political process and away from their attempts at mainstreaming Islam. Much of this is already underway today. But far beyond that it will require deporting Imams who preach anything but good citizenship, shuttering mosques and madrassas and halting and even reversing Islamic immigration. On a military level, we will have to make it clear that any Muslim terrorist attack will result in utter devastation for the source countries involved. Muslim terrorists can kill thousands, but we can kill a thousand times that. And the sooner we make it clear that will respond with ruthless force, the less likely it is that we will face a situation where we have to. Nation building may have a role where the conditions are favorable to the rise and rule of secular authorities, but if we have the courage, deterrence through destruction is a better use of our resources, than deterrence through backing puppet regimes that could not survive without our troops to protect them. We know who the enemy is. It is not simply the terrorists lurking at their base camps, it is the cleric in Al Azhar University who signs off on a Fatwa that legitimizes murdering our people. That cleric is a much better target than the terrorists, because the cleric provides the ideology that creates Islamic terrorism in the first place. If we are to use "Smart Strikes", than let us be really smart about it by making sure that we do not waste time striking at a tentacle of the octopus, when we can strike at the head instead. The War on Terror will not end by entering a bunker and finding the "Leader of Terrorism" dead. Islamic terrorism has no leader, it has motivation. Breaking Islam of its enthusiasm for power and expansionism is the only way we will win. Victory is possible. The only question is do we want it badly enough. Sultan, I wholly agree with identifying the enemy as Islam. How does this help the women and children in Afghanistan? The USA first went there to route out Al-Queda. Al-Queda have apparently left the building so to speak, and the Taliban are reasserting their stronghold over the entire country, to the detriment of women and children. In fact, in the 8 years or so the US and their allies have been in Afghanistan, the Taliban stronghold has increased. I am told the Taliban are the strongest and most fearsome of the Mujahideen which were funded by the USA to oust Russia. When Russia was sent packing the Taliban asserted control, with devastating effect on the people. Oh, this post is longer than I thought. Do the Taliban have an agenda, other than to retain power in Afghanistan? Are the Taliban a danger to America, Britain or any of their allies, or is Al-Queda the true 'enemy'? "Sultan, I wholly agree with identifying the enemy as Islam. How does this help the women and children in Afghanistan? " Why does the US have to help everyone all the time? There are limits to the "white man's burden" don't you think? When will this end and we allow people the dignity of helping themselves. Hello Lemon, thanks for your comment about helping. The abuses we hear about to women and children are already our problem in Canada, where four honour killings just recently have been committed. If we allow Islam to take even a minor stronghold, they will use force to install "Islamic" law. I just read the book - Veiled Threat by Sally Armstrong. The Taliban used excessive and unrelenting cruelty to instill absolute control over women's lives. If they did it there, they can do it anywhere. Education does not protect one from physical violence and cruelty. If we don't help them, this problem will increasingly be our problem. Women everywhere are wise to be very alert about Islam and its devastating affect on them and their children. Women and kids are abused by more than just islam. The problem there isn't Islam its men who like to knock around people weaker than they are. It was never taken seriously until it was Islamic women and honor killings. Now suddenly its important because its politically useful. Not because men care. Help your own women who are abused first and mean it. The rest is just useful politics because of Islam. "We" referring to scattered individuals certainly want it enough. "We" referring to the "anti-jihadist" movement as some overall group obviously do not want it yet, as vanishingly few are willing to support, never mind commit to, any sort of direct confrontation. "We" referring to western governments, barely discernible, the few that are not actually racist cranks that have not switched sides yet to prepare for war against the Jews begin successfully marginalized as such. And with no government prepared to declare that sort of war, it means those would are left helpless. The problem with the West and Europe is that they insist on sticking to their idea of morals and democracy--we just have to be nice and "they" will want to be like us. So wrong! This blind liberal thinking is giving Islam a foothold in every free country in the world. It is a clear and present danger. One can only hope that journalists like yourself are heard and people realize what they are facing. 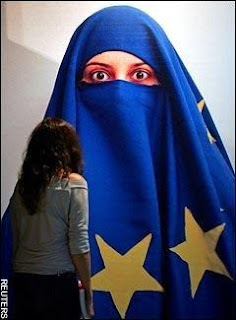 Islam can only be defeated if the West is united and I do not mean such silly things as the EU. United in purpose and in recognition of the dangers it faces. Right now the UK is kissing Libya arse, Sarkozy is sucking up the the rest on North Africa, all are hunky-dory with the new budding terror state Bosnia. They are all afraid of the bogeyman oil when they should know the day the Saudis cut of the flow of oil the house of Sa'ud will be overthrown. If they ever do get together they will learn the only language that Islam understands: Brute force. Bomb the first mosque that goes on the Islam will conquer rant, perhaps even the second or third but there will not be fourth. Self preservation will take over after that. "The problem with the West and Europe is that they insist on sticking to their idea of morals and democracy--we just have to be nice and "they" will want to be like us. So wrong!" That approach is doomed to failure. Israel has been more than accomodating with the Palestinians and it hasn't led to peace, only bloodshed and death. When it comes to Islam there are only three options--convert, be killed or fight like hell. I would rather the US and West fight like hell against Islam. Congratulations on your job teaching political science at clown college. Islam is the very definition of a militant religion. Its history is the use of force to spread itself around the world. Islam is currently by far the most common affiliation for terrorist groups worldwide, and is also involved in more violent conflicts with more religions than any other religion. As for your claim about culture, apparently you don't seem to grasp that religion is a product of culture. It does not form from thin air. It is shaped and defined by local culture, as are all ideologies. Secondly, your rhetoric about the "real terrorists i nthe West" suggests that you are actually a Muslim, not a Christian. Muslim violence is virtually universal, when Muslims come into contact with non-Muslims. In Muslim countries, non-Muslims are generally second class citizens. In non-Muslim countries, a growing Muslim population means a growing insurgency. Those are the facts and your excuses cannot change them. What I do not understand is why Europe is capitulating so easily. Everytime I see a headline stating "Gordon Brown claims London will be the world center of Sharia banking", OR the Archbishop of Canterbury stating that Britain should accept Sharia Law, or France's Sarkozy claiming that a Muslim Europe is "inevitable", I find it incredulous! This is the same England that fought the Nazis 65 years ago and was willing to fight to the last man? Of course, we know Europe to be that wonderful place where both World wars began and which has a horrible history of Anti-Semitism. Ironically, in the 65 years that I have been alive on this planet, I have heard no criticism whatsoever of Germany even though 100 million people lost their lives in both World wars. At the same time, in Israel's 60 years, ALL we hear from the world is criticism. Does no one find that odd? The USA and Israel are the only countries that actively fight world terrorism, and are constantly vilified by the Worls's media? It's enough to make any person with integrity person lose faith in human beings. I could rant for a long timne about this, but I just want to say - Everyone on this planet will have to make a choice in the near future whether to fight or give in to brutal Islam. For everyone's behalf, I hope the people will vote for the side of light. Otherwise, all of us - especially women and children - will suffer greatly at the hand of Islam and the world will go back to the 14th century. Wake up, everybody!!! Take a stand! Keep in mind that England was not prepared to fight to the last man, or to fight at all, until things got quite bad. WW2 happened precisely because England, the US and France were not willing to fight Hitler. Similarly Communism took over Russia because no one was willing to fight hard to stop it. Another brilliant piece. Unfortunately in the politically correct atmosphere of the west, I do not expect this strategy to be utilized. Our emasculated politicians won't even acknowledge we are at war with islam. They will not utter the word "terrorist", let alone "islamic terrorism". A spot on article, I had come to this very same conclusion years ago. In terms of England, many people did not want to fight over what was seen as the mistakes of the first world war while others knew that we had no choice. My people are coming to the same point in time, we might just surprise you, its already started you know, keep an eye on the English Defence League. They are not muslims; they are mohamedans. Mo would kill as many non-mos as he and al(lah)could manage. SK - As usual, you have rationally laid the historical and cultural basis for taking on the cultural construct called Islam, as well as pin-pointing the targets of our enemies. When the non-muslim countries "get it", then perhaps the craft of infiltration and assassination will become a valuable tool in our toolbox. Civilized peoples have been taught to abhor the notion of political assassination, but has been devilishly successful in the past. Political assassination of one's enemies, however one feels about it, is a time-proven, effective technique. Assassination need not be only a government's job, either. What we lack is a intelligence network committed to the destruction of Islam. In fact, it might be desirable for such a team to operate outside the aegis of a sitting government. A silent intelligence network, committed to destroying the head of the octopus would at the very least, set our enemy back on their heels, and buy time in the very real war on Islamic terror. 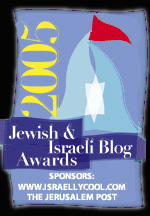 I may be on shaky ground here, but it would seem that Israelis themselves. 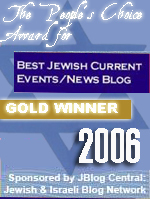 (not the confused government of Israel) would be the best tool for the job. They have the know-how and the motivation for such an operation. They could hardly be more hated than they are now anyway. 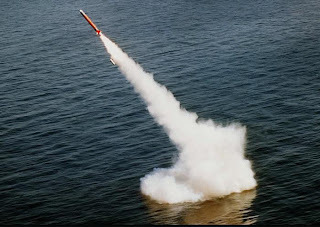 But even if it's not Israelis, some other group equally capable of carrying out such a task would have to arise and assume the role and take the fight to the enemy. On the ideological and cultural front, muslim women would need to step up and help resist the move to establish Shari'a, wherever it occurs. That isn't likely to happen until a visible, winnable war on Islam gets to, and shuts down, the hateful madrassas and imams spewing out hate in the mosques for everything non-muslim. It is unusual for me to advocate tactics of war. It has been my adopted role to act as watchman, and alert my community to the very real dangers of Marxism in its various guises, and totalitarian ideologies where they attempt to shut down our freedoms guaranteed by the US Constitution. Yet, while I continue to sound the alarm, it seems to me that the time for action is at hand. I will not sit by and watch as our freedoms are being slowly, painfully eroded, neither here in the US nor abroad. The problem is that Israel's own intelligence agencies have been heavily compromised by outside forces, both from European governments and private funders along the Soros line. And at this point Israel has trouble defending itself as a result. The answer to your question is 'no, we prefer surrender'. PC carried to its extreme has rendered the West impotent to combat this menace. Taqqiya sooths us as the mohammedans prepare to slice our throats, and the Western liberals are enabling it. First step: nations must recognize that Islam is not a religion. Religion connects - Islam separates. Islam is totalitarian theocracy. Once the left understands that, perhaps they will start to be able to NAME the enemy. Bush was wrong - this IS a war against Islam. The lesson will be repeated until learned. I agree with much of the first part of this post, but the second part is way too simplistic. A war is best fought by fostering as many allies as possible and preventing your enemies from gaining more allies. A war on Islam would do the opposite and make it untenable. I think that a large portion of the Democratic Party are traitors, but recognize the reality that acting with appropriate legal action against them would backfire. There are political realities to consider and you should rethink this post. However untrustworthy they may be, sometimes they are no worse than some of our oldworld European "allies". Many times we have common goals that we can work together on. One of the biggest crimes of the Obama Administration is its betrayal of Iranian democracy protesters. There we have common goals with Muslims, who might not be the best allies, but we can at least work together for a common goal. So what good have all those "allies" done for us? As I said, the ANA, Awakening, and Kurds kill our enemies. Others such as Djibouti give us bases from which we can kill our enemies. We won the military battle in Iraq (the battle against terrorists continues) by making friends with those who were willing to kill a common enemy, and especially by protecting them. The Left is lukewarm in its commitment to defend those who side with us and they fan the flames by promoting anti-Americanism in exchange for political benefits. Al Qaeda and its Jihadist allies cannot succeed without the leftwing propaganda machine. Unfortunately, the leftwing uses academia, the arts, music scene, hollywood, the legal system and much of the media to distribute its propaganda. That is the biggest problem we have. We can win almost any war, but our will to fight is drained by the leftwing. Now that they have become the status quo, we are really in trouble. That's how it was with the Mujahadeen who helped us kill our enemies, before killing us. Or the Shiites. Or Saddam. You can't have any long term alliance with people whose ideology is incompatible with it. Ahhh... but the Northern Alliance were our friends too. Dont forget NA leader Massoud who was killed in coordination with the 9/11 attacks. Al Qaeda tried to eliminate a threat to their "flank" by killing him. If we had supported Massoud earlier we could have eliminated Bin Laden's safe haven before 9/11. Our allies are not the only ones who are unreliable. Massoud tried to warn us about Al Qaeda. And dont forget how we betrayed the Shia after the 1st Gulf War. We told them to fight and stood by and watched as Saddam slaughtered them. That had repercussions and we lost many potential allies who became enemies that later killed many Americans. It is a two-way street. Those who bleed fighting our common enemies deserve our respect. We failed them one time too many. Its time to say never again. We shouldnt be fickle allies like we were for South Vietnam. Our shame is not in waging wars of aggression, it is in not doing enough to fight the true totalitarian aggressors and protect those who help us in such efforts. Going back to our safe homes as our allies are left to the mercy of our enemies is inexcusable. The NA was not some sort of enduring pro-american order, it was a collection of warlords and factions, many of whom hate each other and us. The Shiites were not our devoted allies, they simply saw a chance to overthrow Saddam. When we did it, we wound up with many of them as our enemies. You're dealing with factions and tribes and clans here. Alliances are only temporary alliances of convenience. They moment a common enemy is defeated, the alliances change dramatically. That's what happened in Afghanistan and Iraq. It's what will always happen. I dont deny that our allies have faults, although I cant really fault Massoud in any considerable way, other than the political realities that he suffered under. He tried to warn us of impending Al Qaeda attacks and we ignored him. We defeated the Soviet Union and then abandoned our closest ally. You describe the alliances of convenience of our allies that are no different than what we have done. We are no shining example in this regard. We removed Saddam Hussein from Kuwait and then sat back and watched the rebellion that we provoked in Shiite Iraq turn into a bloodbath, without raising a finger. And dont forget South Vietnam. Americans like Harry Reid, Joe Biden, Lyndon Johnson, Ted Kennedy and John Kerry have done the same thing to our allies. We are no different. We are unreliable allies ourselves. Its time to repair the damage that we have done. See how President Obama treats our allies, Great Britain and Poland. There is no honor in our fair-weather alliances. It is a two-way street. The American liberals who currently hold the majority of power in our country are just as much fair-weather allies who serve their own interests as our current allies. We are no different and that must change. No we're no shining example, and we're not meant to be. These were and always are going to be alliances of conveniences made with people whose ideology was fundamentally hostile to us. The NA was a ragtag of factions and groups, many of which were hostile to each other and to us. We helped them drive out the USSR, and that was to our mutual interests. Beyond that there was very little we had to offer to each other. America did not fail them, they failed themselves. Do you really think that had we removed Saddam right after the Gulf War, that the situation in Iraq would be fundamentally different from what it is today? The factions would differ a little, but we'd have been in the middle of a Sunni-Shiite war funded by its Sunni and Shiite neighbors, neither side of which would have much use for us. There's a difference between alliances with free nations that share similar values and interests... and alliances with a few warlords and militia leaders whose ideology calls for building a stone age dictatorship. Even considering short-term interests we certainly failed Massoud, even though he clearly had a clearer picture of the threat presented by Al Qaeda than either President Clinton or W had. And yes, actually if we had removed Saddam immediately the situation would have been fundamentally different and probably better than it has already turned out. If Bush Sr. was so worried about factionalism in Iraq he should have never took the lead in fighting Saddam Hussein. Time and time again, we learn the same lesson that you cannot commit to war unless you are fully prepared to see it through to the end. If you are not committed then you will surely lose, as Somalia and Vietnam have shown. However, it is not as likely that we would have had as many problems as we did if we did not let the problem fester for over a decade. 1) The Shiites would have been a lot more pro-US without our “betrayal” in the 1991 Shiite Rebellion. This “betrayal” lies in the fact that we incited the Shia to rebel and then refused to help them when they were slaughtered as a result. Whether or not Westerners consider this to be a “betrayal” or not is a moot point. The Shia consider it to be a “betrayal” and it was a major grievance in 2003. One that we paid for in blood. 3) At the time we had the cooperation of Turkey, Syria and Saudi Arabia. While this coalition would have fell apart eventually, it still was a major advantage over our position in 2003. 4) During the early 90s Zarqawi was locked up in jail in Jordan and his Al Qaeda allied terrorist group was not in existence in Northern Iraq, nor did it have any sleeper cells in Baghdad as it did in 2003. So Al Qaeda had no infrastructure or allies in 1991 ready to launch attacks in Iraq as it did in 2003. Zarqawi and Muqtada al Sadr were the most prominent and brutal anti-US insurgent leaders after the 2003 liberation. If we liberated Iraq in 1991, neither of them would have been in power and Al Qaeda wouldn’t have had over a decade to build up and plan attacks such as 9/11. While it is likely that there would have been problems if we removed Saddam in 1991, it is not inevitable that there would have been military conflict in the aftermath. I am not saying that it was not possible that there would have been violence, I am only saying that there exists a possibly that such violence might not of happened. We will never know. However, even if there was violence under such a scenario, it is extremely likely to have been less difficult than the 2003 liberation. Yet we had to wait 12 years for the liberation that could of happened in 1991. Meanwhile the problems we had in 2003 festered like an open wound for over a decade. We didn't fail Massoud, we failed ourselves. Massoud was not that bad, but essentially he was a member of a group led by a Muslim Brotherhood leader. The differences between the Taliban and some of the Northern Alliance members were not as great as we would like to think. The Taliban were worse, but a lot of the NA were essentially more moderate versions of the Taliban to begin with. I agree that the sanctions were a waste of time and that Saddam should have been removed immediately, but if we had dragged out the transition the same way, the end result would have been the same, a country torn apart by fighting Sunni and Shiite groups, backed out of Syria, Iran and the Gulf States. 1. The shiites were not going to be our friends either way. The problem there was not their failed rebellion, but the practical realities of their religion and regional alliances. Unless we were prepared to create a whole or partitioned Shiite Iraq, and/or accept a great deal of Iranian influence the same issues would have come up. 3. It's not clear that we would have had their cooperation to invade Iraq in order to overthrow Saddam. The Saudis opposed that then, and Syria would not have been on board either, again because of regional realities. 4. Al Queda wasn't initially on the scene either. But Baathist guerrillas would have started operating initially, as they did here... countered by Shiite militias. It wouldn't have taken very long for some of the former Mujahadeen and the usual regional radicals to jump into the vacuum and fight to create an Islamic state, especially with Saudi Arabia that nearby. It might not have been as bad as Zarqawi's AQI was, but there's no way of knowing. The thing there are no shortage of Zarqawi's in the Muslim world waiting for their chance. As for Sadr, Iran would have found one foil or another. Again there's no shortage of them. Even Sadr's own father would have still been alive then, and might have been a far deadlier enemy than his idiot son. Since there is no way of knowing, we can never be sure. However, I have shown that at the very least the post-liberation period was likely have been less violent than it was in 2003, if we had immediately taken care of business. Another point I neglected to mention was that ONE of our arguments for removing Saddam, WMD, wouldnt have been an embarrassment and a battlecry for Leftists to undermine our troops. It doesnt matter that Saddam admitted to intentionally misleading the world into believing that he WMD. The issue did some severe damage to the unity of our country. In the information age that was something that our enemy and their supporters were able to take comfort from. It was an issue that ultimately propelled the treasonous Democratic Party into power. It is possible that Mohammad Mohammad could have been worse than his son Muqtada, but we will never know. We do know that Muqtada was an insatiable enemy of the US despite the benefit we gave him. We also know that the Shia were incensed against us because of what they perceived to be our "betrayal" during their rebellion. Just importantly we had not yet explored our country's best interests in Afghanistan by giving Massoud more support. Massoud would have been a preferable leader rather than Karzai and a moderate influence on the NA, over which he was held in unusually high regard. We lost an important ally thanks to our neglect. He could of further served our best interests in a region that needed someone like him. While there are intolerant Islamists in this world hoping to cause trouble, it is not so clear that they would of had the opportunity if we removed Saddam back in 1991. It is still possible, but even in such a possibility it is likely to have been much more moderate than it was in 2003 due to all the screw-ups we made during the 12 years of stupid sanctions and indecision. We had Muslim allies and potential allies, but screwed them around. The Kurds were treated well and remain our staunchest allies. You can say that they are more liberal than most Muslims and that is true. However, if we neglected and misled them like the Shia, we would have suffered the consequences much like we did post-2003. We could have had more allies, but we were too weak to support them. In return we got more enemies and feed fuel to the treasonous leftwing. Now Obama is content to refuse support to the democratic opposition in Iran. It is a betrayal of American principles and decency that has somehow become an American tradition, contrary to our values. We have become lousy allies, while Great Britain, Poland, Canada, the Baltic Republics, Honduras, and other loyal allies suffer… just as real and potential allies in Afghanistan and Iraq suffered. It is time to repair our image in the minds of our international supporters, not our enemies and opponents. We don’t need Iran, Syria, Russia, Venezuela, China or Islamists and militant Socialists to love us. We need them to feel that we are unstoppable and our allies to feel that we are committed to supporting them. This backward slide must be stopped or we will be in serious trouble. If we had immediately taken care of business now, the results would have been a lot less violent as well. By failing to do so, we opened the door for the insurgency. Certainly taking out Saddam during the Gulf War would have been better all around, but it would not have significantly changed the local situation much, if we had dithered the way we did now. Given time the same triangle would have kicked into action, with Baathists moving through Syria, Wahhabis from Saudi Arabia and Shiites through Iran. The bottom line is that neither of these sides are big on compromise and all of them wanted an Iraq minted in their own image. I'm not sure what Massoud's Afghanistan would have looked like, but there are good odds that it would have been more Talibanesque, albeit less corrupt than Karzai's. The Kurds had primarily nationalist ambitions, not Islamic ones, and we have screwed them over as a matter of fact, most notably over Kirkuk. They are one of the few groups in the region we could have had a meaningful alliance with, to a degree. "If we had immediately taken care of business now..."
But far beyond that it will require deporting Imams who preach anything but good citizenship, shuttering mosques and madrassas and halting and even reversing Islamic immigration. The last will do the trick. To get there we have to get to total war with the Islamic world. Only then will our society see all Muslims as the enemy. I can't grasp why every person of average intelligence does not see the horrific situation we are in with islam. How can it be that it makes one persons blood run cold and another person yawn. It is unbelievable. Europe is submitting to this insidious evil in such a way that they might as well be walking into a gas chamber. The only conclusion that i can draw from this, is that the God of the universe has caused this deluded thinking to come on men because it is part of God's final solution. If it isn't so, than all i can say is that all of the people of the earth have somehow become stupid thinkers simultaniously. There has to be a much bigger influence in this situation that most men are unable to fathom. How can the whole enlightened world have their senses completely shut down and be left with no ability to see the unblievable darkness that is asending on us through islam. There is only one way to battle this evil and that is to start the battle where it originates, in the mosques. Announce to the world that if they want to listen to preachers of hate, they will die with those preachers. Identify the mosques and madrassas where they preach the supremacy of Islam and bomb them. It is no use hitting the deluded idiots who believe every word their illiterate mullah spews, hit the mullah. In every movement the leaders have one thing in common, an extremely high value on their own safety above all others. I realy like what you wrote and agree on all points, here is South Africa we see the Islamic mole digging its way into every structure of local and national government as well as the banking sectors and law. Its just so clear to all those that hate Islam. So I guess the best solution for Israel and the Hebrew/Jewish people to overcome this virus is to use MAXIMUM FORCE, maybe I mean the BOMB? I wonder what the next few months will bring as Israel is being pushed more and more into the corner, Psalm 83 is has a possible clue for those of us who believe in Hebre prophecy and its relevance in past/present and future history. God have mercy on us all and lets all pray for the peace of Jerusalem daily. The problem is the dependency on oil. As long as we need oil from those Islamic countries, there is no point in fighting Islam, because there will be an oil crisis on the horizon as soon as it starts. Maybe war on Islam could help us get less dependent on oil in a hard way. But do we want that? This is heavy stuff, but it has the ring of truth. that the sand-bandits of mohammed happened to be grazing their camels on an ocean of sand - over an ocean of oil. then islam, that has been on a world-wide rampage over the last fourty years would simmer back down to the bubbling cesspool of backwardness that it had been since the fall of the Turkish empire. This explains how to eradicate islam. Stop fighting islam at the periphery. Cut off the head of the snake of islam and the rest of the snake will die. Take the oil away from islam. Take the Saudi oil fields. There will be no more funding for islamic terror. No more muslim immigration into Europe. No more islamic takeovers of countries in the Caucasus. Then, when islam has no backing from Saudi oil money, eradicate every last vestige of islam. No more mosques, no more korans, no more muslims.